Perhaps the ultimate grilled steak may be the 'tomahawk' bone in rib-eye (shown left), a cut with the full bone resulting in a tomahawk shaped beefsteak. What fun to have these whilst in the middle of our beloved Blackhawk's run for the championship Stanley Cup. 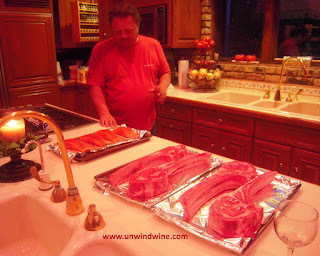 Also shown is Mark with the Atlantic Coho Salmon filets. 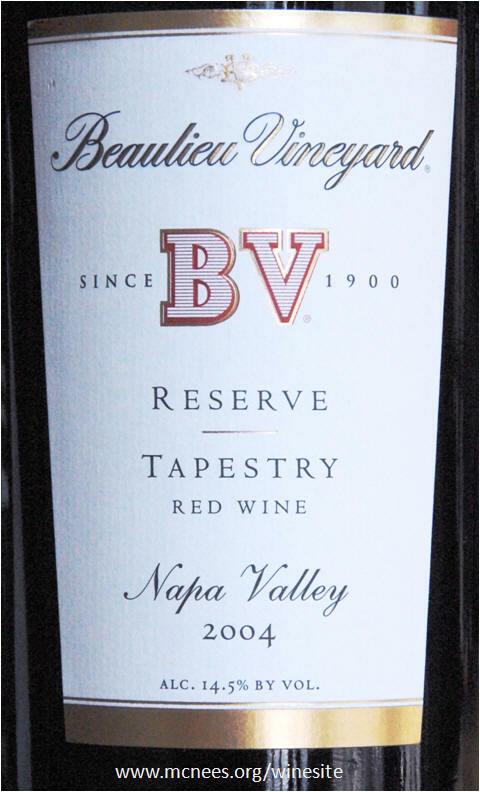 For such as feast at Mark Z's, we took two 2004 vintage Napa Valley Cabernet Sauvignon blends - Robert Craig Affinity and Beaulieu Vineyards Tapestry Reserve. Both were decanted before serving. 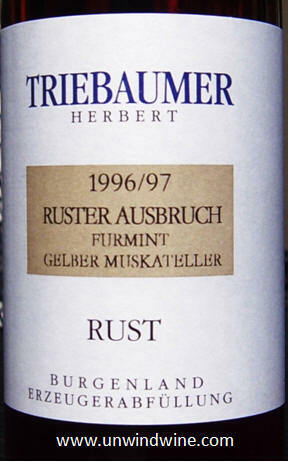 Before dinner we opened a Ruster Ausbruch Austrian Chardonnay blend based dessert wine which we tasted with artisan cheeses and French breads. 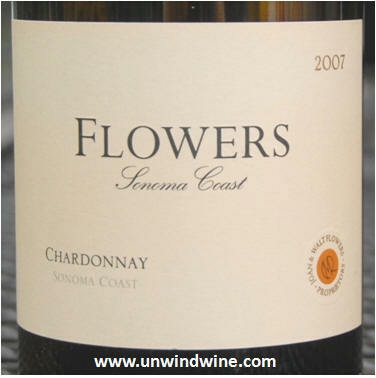 Mark also prepared grilled Scottish North Atlantic Coho wood plank Salmon (pictured above left) with which we served a Flowers Sonoma Coast Chardonnay 2007. Completing the dinner were twice baked potatoes and steamed grand purple asparagus spears. 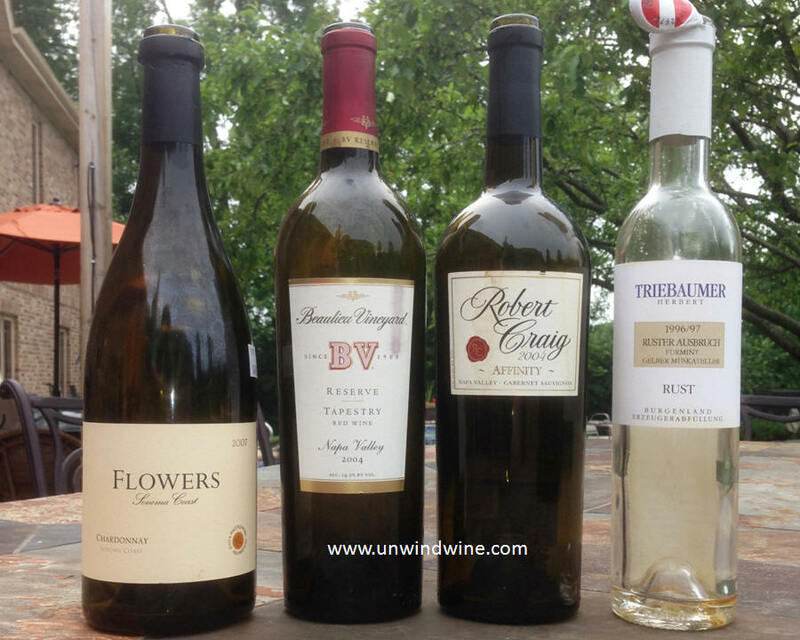 The wine flight is pictured left. Burgenland is a wine region in Austria along the Hungarian border, across from the region that produces Tokaji dessert wines. Neusiedlersee-Hügelland (Neusiedler Lake Highlands) is one of the sub-regions of the area, adjacent to and influenced by the Neusiedler Lake (Neusiedlersee) body of water that defines the region. This northernmost Neusiedlersee area produces full-bodied white wines, including the country's best Chardonnays. Due to the vineyards proximity to the lake and the climatic hot Pannonian zone, the grapes develop the "noble rot" (botrytis cinerea) which creates heady dessert wines.Rust is a village in the Neusiedler Lake Highlands, where the famous Ruster Ausbruch dessert wines are produced. The label says Erzeugerabfüllung which would translate to producer's bottling or what we would call 'Estate Bottled' in America or Chateau Bottled (mis en bouteille au chateau, ala bottled at the chateau) in France, meaning the grapes are grown of sourced on the producer's property and the wine is produced by the land (estate or chateau) owner. The thick almost syrupy extracted sweet fruit was offset by a smoky almond nut flavor. Rather than the highly desirable apricot or peach flavors, this tended to be more cirtus focused. This was a great complement to hard Parmesan cheese. Robert Craig produces this blend of Napa Valley Cabernets from his various vineyard sources on Mt Veeder, Howell Mtn and Napa Valley. He also sources fruit from Mt George and Spring Mtn distict for his wines. He calls Affinity 'three mountains and a valley cabernet'. Its produced for early enjoyment but we continue to find it ages well too. We continue to hold a vertical of this wine dating back to the inaugural 1993 vintage. This wine was a highlight of the evening and was a perfect pairing with the grilled rib-eye steaks, and also went especially well with the the pre-dinner double Gloucester cheese. Consistent with earlier tasting notes, deep dark purple inky color, huge ripe berry fruit aromatics, full body, ripe berry fruit, accented by a undercurrent of caramel with a hint of anise, tobacco and firm full tannins on the long fruit filled finish. In the comparison tasting, while this went well with the grilled steak, it was overshadowed by the big aromatic fruit of the Affinity. Consistent with earlier tasting notes, dark garnet colored, medium-full bodied, a bit tight and closed, the black berry fruits were a bit overtaken by tones of tea, tobacco and hints of cedar, anise and smokey oak on a moderate tannin lingering finish. This Chardonnay went well with the salmon and the white cheeses. Light to golden straw colored, balanced and full complex layers accented by lemon citrus, tones of mineral and a hint of vanilla, pear and buttery oak, giving way to citrus on the crisp clean finish. This wine is a blend of several Sonoma Coast vineyards, including Camp Meeting Ridge ; a blend of Dijon clones (95 and 76), mature vine clone 4, and the low-yielding "Old Wente" selection.